Experience the local flavour of Goan flea markets at Calangute Market Square, and find a host of interesting products including bags, accessories, clothing and decor. What Should I Get Here? 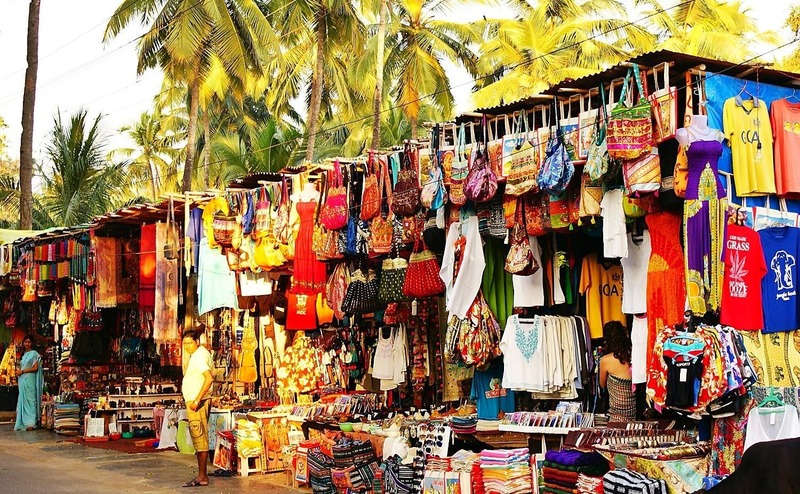 Packed with stalls and shops that sell a wide range of items, including souvenirs, metal goods, leather items, accessories, clothes and various artifacts which are not only from Goa, but from other parts of the country as well. There is also a Tibetan and Kashmiri market that sells silver trinkets, gemstones, textiles and wooden handiwork. One can buy sarongs and trinkets made of sea shells as souvenirs from here. Make sure you top your shopping up with some prawns and beer from the neighbouring shacks.